A design for the royal couple? I have been asked by a leading Homebuilding magazine to create a design for Kate and Wills for their proposed Eco Mansion in Hereford…. The site already has planning permission and i think they are well into the project so i think the proposal from the magazine is more of a “what if” scenario and is more a bit of fun centred around the royal wedding, but even so, it is an interesting proposition and i cant wait to start designing this one! I will keep you updated with any news…. 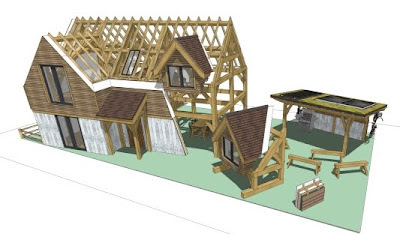 I was commissioned in 2010 to design a new range of six houses for T J Crump Oakwrights up in Hereford, which were to be based on their highly successful showhome. If you are looking at building in Oak and have not been up to see these guys yet, i can fully recommend it. 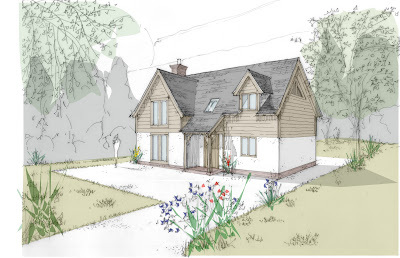 The result of the project is The Wood House, a range of 6 designs, spread a across a really sensible range of sizes and each one, a really simple, classic, contemporary design for your new oak frame project…. obviously, i am slightly biased in their success, but i do honestly feel they are a really great set of designs. I will be at the show for all 4 days working on the stand so hopefully see you there! Part two of a peice i wrote a while ago but some good stuff in here….